Oklahoma City University offers a multitude of nursing programs, ranging from undergraduate to doctoral degrees. Although the cost of tuition per semester is relatively steep at $13,368, the university offers a variety of financial aid and scholarships. Furthermore, 100% of its bachelor of science in nursing (BSN) students have been employed within a month of graduation. University of Oklahoma boasts that it is among the top 20 percent of nursing schools in the nation. Oklahoma state residents pay only $137.60 per credit hour, while non-residents pay $425.80. The university offers a bachelor of science in nursing that allows students to graduate as registered nurses (RNs). 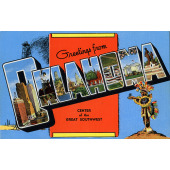 The median annual income of an RN in Oklahoma is $56,870. This community college offers one of the most affordable nursing programs: state residents need only pay $87.55 per credit hour for tuition. Financial aid and scholarships are also available to help students cover these costs. We’ve compiled below a more detailed guide to Oklahoma’s nursing schools, ordered from the most expensive to the least expensive.